The ordering and delivery wasn't something I expected. During my first attempt to call, the lady got me on hold for around 10 minutes then later hung up on me. However, I tried calling again and asked why I was hung up. The lady apologized and told that it was a busy day for the resto (I accepted, but still...) She also received my orders. The delivery didn't arrive on time. When I called again to follow up, the lady reasoned that they only have one rider for the deliveries and the rider is still on its way to pick up my orders. The delivery arrived an hour than the expected time. My orders are Pancit Malabon (Php 400, medium bilao) and Pancit Bato (Php 450, medium bilao). 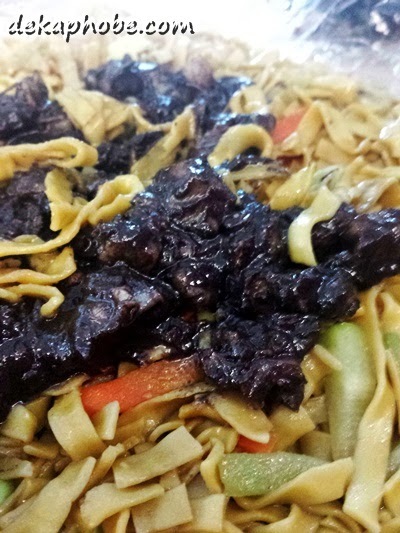 Pancit Bato is a Bicolano Pancit topped with dinuguan. 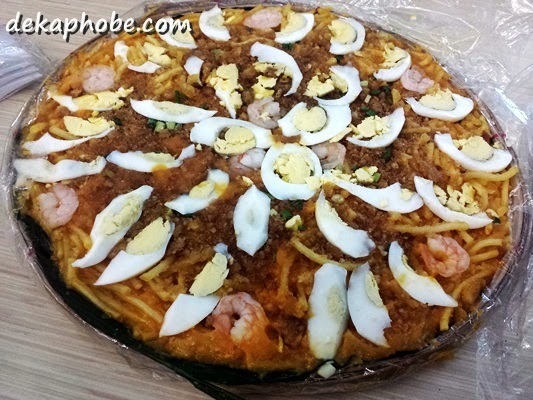 The Pancit Malabon, the said bestseller, wasn't as impressive as I expected it to be. 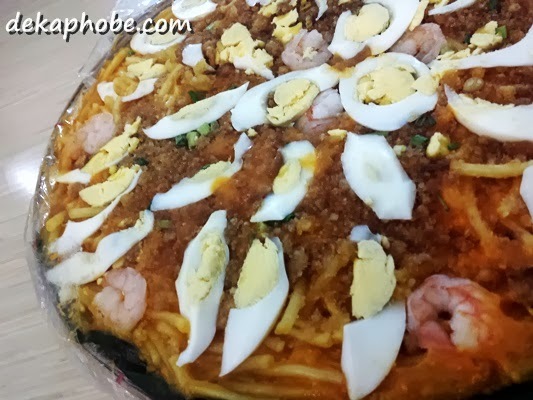 Maybe I just had better Pancit Malabon (or Pancit Luglog, an almost similar dish by the Kapampangans) before. However, the Pancit Bato did wonders. 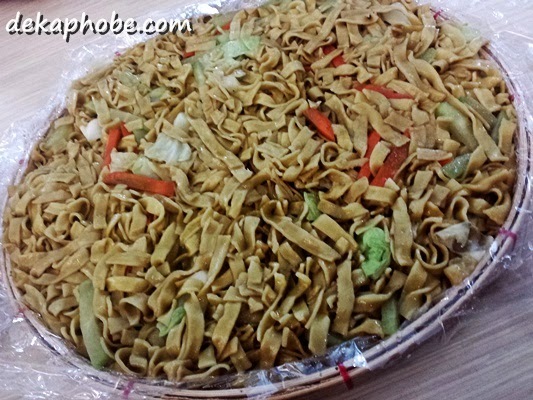 The noodles alone was a little bland, but when eaten with dinuguan on it is quite flavorful. I know I just have to dig in for more because it was gone within minutes. Despite the less-than-pleasant service, I would love to try Pancit Center's other offerings like Cagayan's Batil Patong, Cebu's Bam-i, and eat more Pancit Bato. I just hope I wouldn't have to experience the same service the next time. Wow! Too tragic when good food is paired up with bad service (be it delivery), but that just got me curious about Pancit Bato. Oh, and belated Happy Birthday Michy!